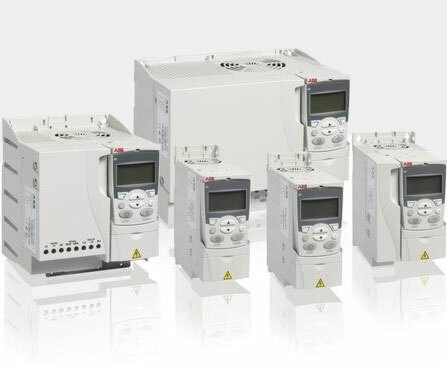 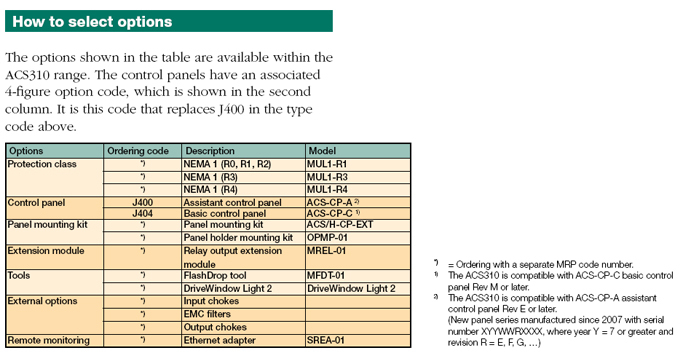 ABB general purpose drive, ACS310 is easy to select and easy to use. 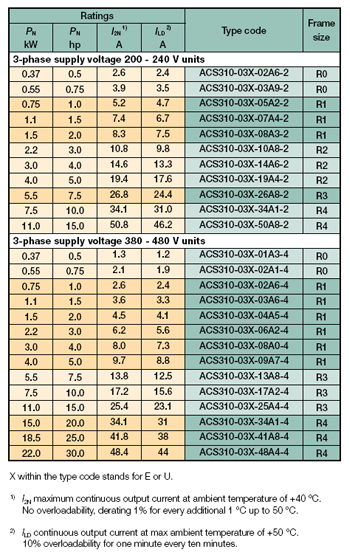 It is enough for most basic applications with no high overload demands. 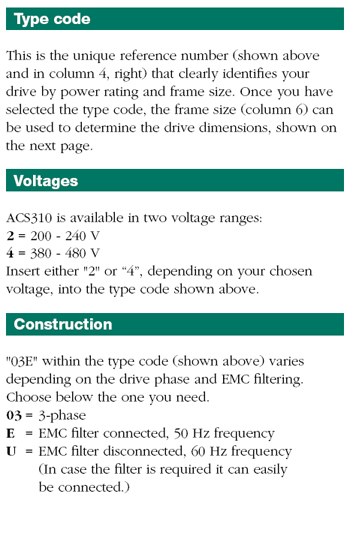 ACS310 is suitable for wide range of variable torque applications and simple machines. 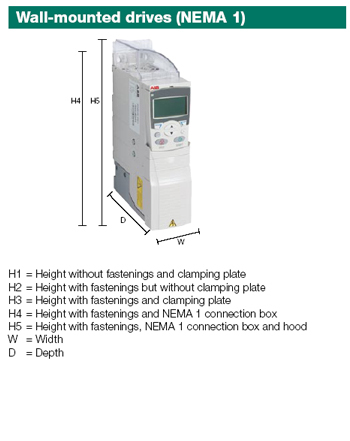 The drive’s dedicated pump and fan features lower operating costs, boost energy efficiency and reduces CO2 emissions. 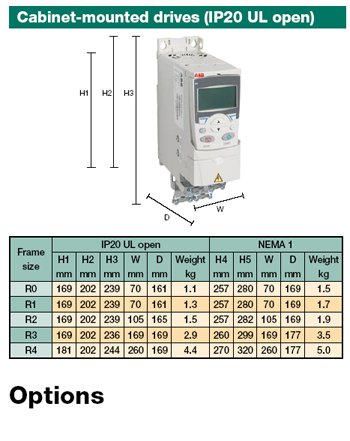 Included amongs these features are built-in PID controllers and PFC (pump and fan control) that varies the drive’s performance in response to changes in pressure, flow or other external data.